Thank you for your interest in donating to Pachamama's Path! Below you will find a PayPal button where you can fill in the amount you would like to donate. Once you click the button you will have the option to use a credit card or debit card instead of PayPal. We offer tax-deductible donation (for US Donors). If you have any questions or would like more information please contact us us. Thank you so much. Urpillay Sonqollay. If you’re thinking of joining so many people on Giving Tuesday after Thanksgiving, please consider Pachamama’s Path in support of Kusi Kawsay school. Our supporters were so generous during our Tinkuy campaign this summer, and, just as we were sitting back thinking we had a bit of breathing room, well, there was a teachers’ strike in Peru and all of the teachers in the country got a raise as a result. Which added a bit to our budget for next year. So much for taking a breather! So please consider us if you’re joining in the day of giving. AmazonSmile is a simple and automatic way for you to support Pachamama’s Path every time you shop, at no cost to you. When you shop at smile.amazon.com, you’ll find the exact same low prices, vast selection and convenient shopping experience as Amazon.com, with the added bonus that Amazon will donate a portion of the purchase price to Pachamama’s Path. For the direct link to Pachamama’s Path, just click here: https://smile.amazon.com/ch/26-0389466. To shop at AmazonSmile simply go to smile.amazon.com from the web browser on your computer or mobile device. You may also want to add a bookmark to smile.amazon.com to your bookmarks to make it even easier to return and start your shopping at AmazonSmile. We are an IRS Section 501(c)(3) organization founded in 2007 for the protection, promotion and cultivation of Andean culture. 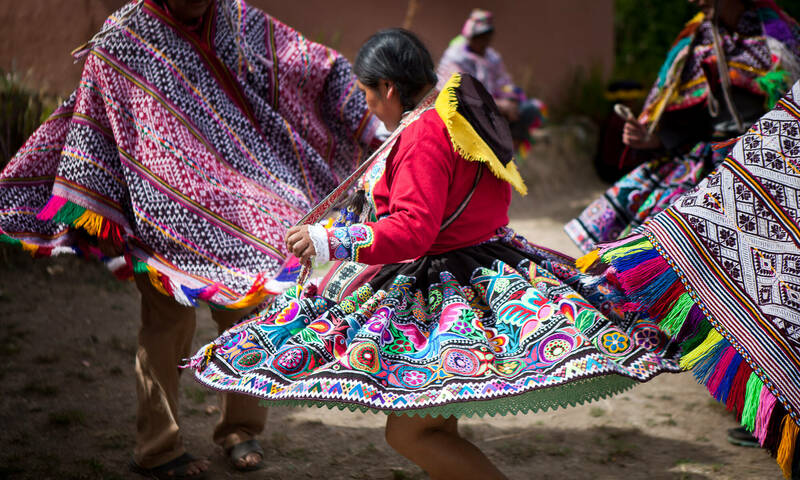 Through various fundraising events, grants and individual donations, we fund the Kusi Kawsay Association, which seeks to empower the children, youth, and adults of Indigenous communities in the Sacred Valley near Cusco, Peru through the creation and support of permanent, multidisciplinary programs through its Andean school, community-produced videos, cultural center, workshops, traditional music and dance group, radio broadcasts, and cultural exchanges with other Indigenous communities.